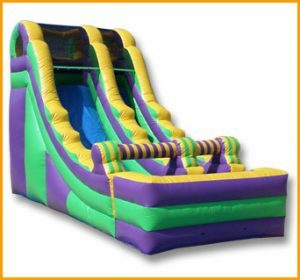 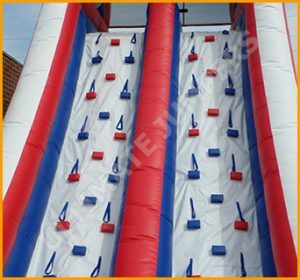 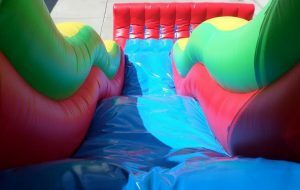 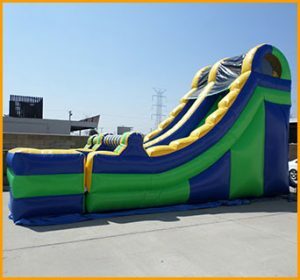 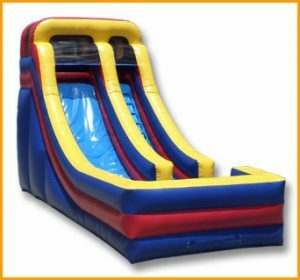 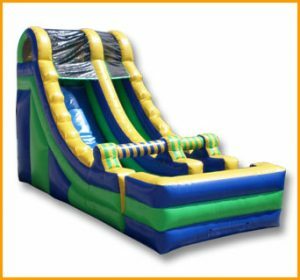 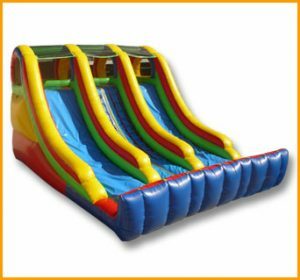 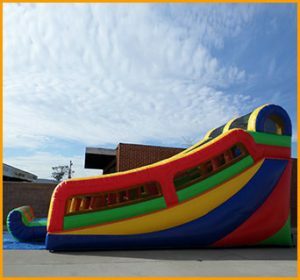 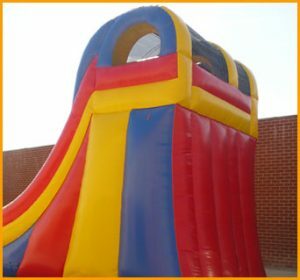 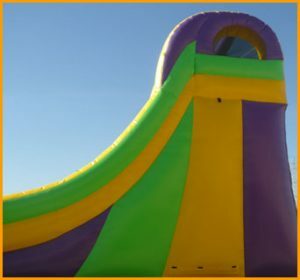 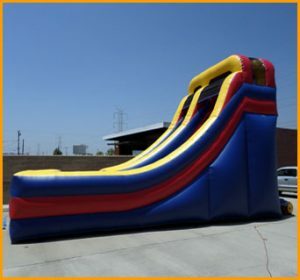 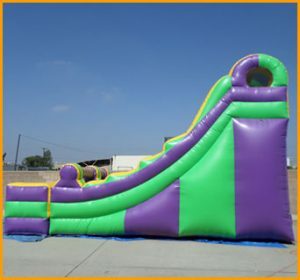 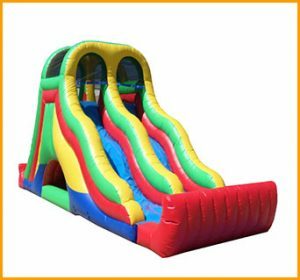 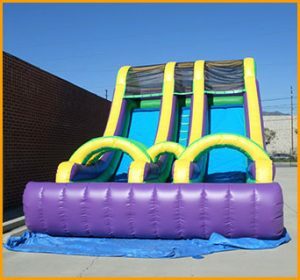 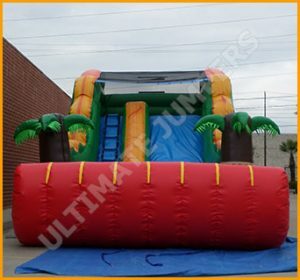 The compact size of this inflatable 12′ double lane slide allows you to be able to set up it just about anywhere and any type of event. 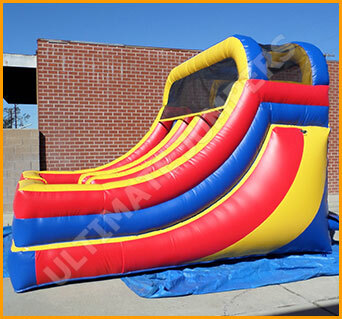 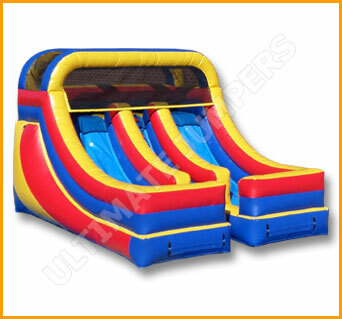 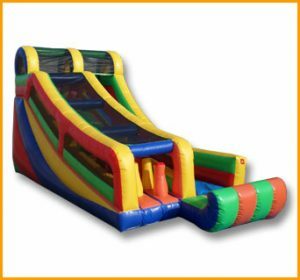 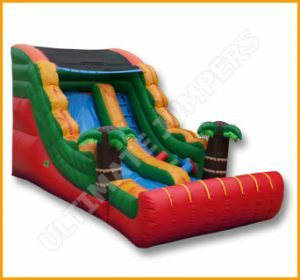 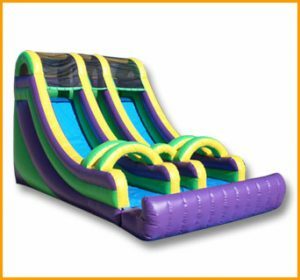 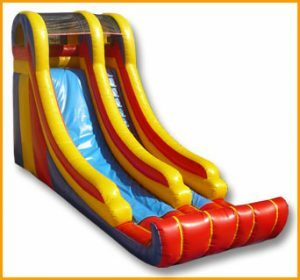 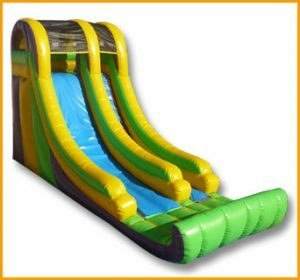 This inflatable 12′ double lane slide can be set up indoors as well as outdoors because of its convenient size. 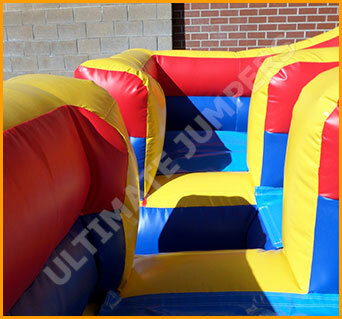 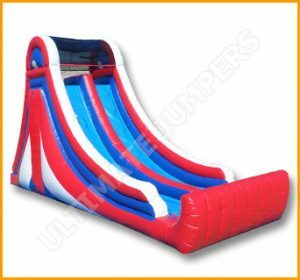 The primary colors of this fun double lane slide makes it bright and adaptable to many party themes and characters. 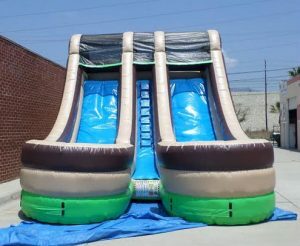 The compact size of this slide allows you to be able to set up it just about anywhere and any type of event. 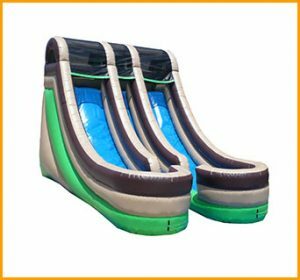 Kids will be able to climb and slide down for hours while getting their cardiovascular exercise and expending energy at the same time.